Personal | Let's Live Forever! Hi all – I’ve decided to wrap up this blog. I’ve thought for some time I might be able to keep doing occasional posts, but I don’t think that will work—not for me, anyway. The main reason is to do with focus—I find when I am writing posts, and even commenting on other blogs, that I’m constantly running the words through my mind. I’ve been known to go for a walk around the block and on returning enthusiastically add a comma to what I had just written before the walk—the perfect comma. This is fine when the project is what you want to be doing with your life, but that’s no longer the case for my blog and me. I met Kelly from SHE-POWER! 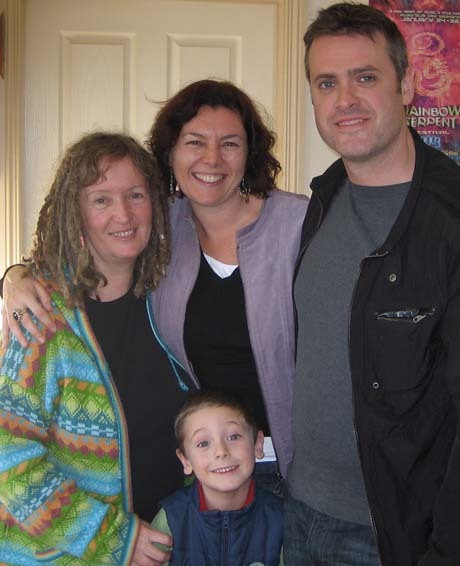 She and MusicMan and Bunny came all the way down to Melbourne from Sydney for a wintry holiday, and we actually got to MEET each other! 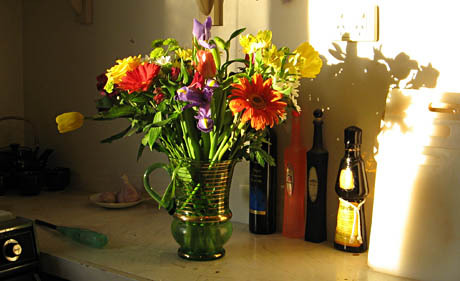 I bought these flowers to celebrate Frank coming home and my birthday – I thought they looked nice in the late afternnon wintry golden light. Mum gave me the glass jug for Christmas after we spotted it together in a second-hand shop in Bendigo. I’ve had a fair bit going on since my last post—and I hadn’t intended to leave it this long before posting again. Frank (my partner) ended up in hospital for 5 days in mid-June, and the whole thing wasn’t exactly fun for either of us. I took him to the emergency department of The Austin late on a Thursday night, and after numerous tests and treatments he was released on Tuesday lunchtime… on my birthday! I want to write something about the fires here in Victoria, but I don’t know where to begin. I mainly want to let you know that none of my family or personal friends are directly affected – so at least I am doing that. My friend Kelly has also done a post about the fires: Victoria Burns and a Nation Weeps. 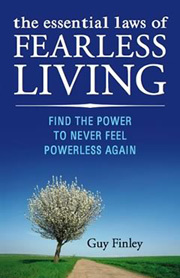 I’m very pleased to be involved with a publicity event for Guy Finley’s book, The Essential Laws Of Fearless Living, which was released last June. It’s all happening today, January 27. There are lots of free bonus gifts! Here’s my partner Frank sitting outside our tent at the music festival we went to last weekend. We got there Thursday afternoon and left Monday afternoon, so it seemed more like 5 days. This is a relatively small festival—about 2000 people go. 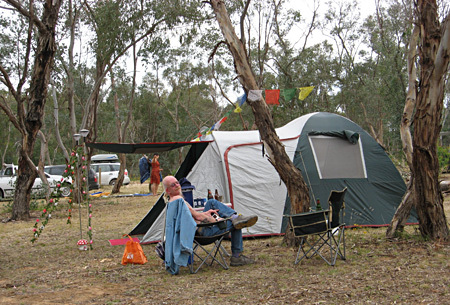 The site is in the foothills of the Victorian Alps, not far from the snowfields. Here’s a Google Earth bookmark of the festival site, to download, should anyone be interested… you double click on it and Google Earth will open, if you have it. The festival was great, and we feel different. Apart from the sheer pleasure of mixing with the people, and enjoying the music, there’s something about camping in a bush setting that makes one feel more physical. It’s not Friday the 13th today, but it was the other day. Our plumbing got blocked and we had a crowd coming over on Saturday the 14th. We rent our house, so should have been able to ask the estate agent to get it fixed, but we knew from experience that it wasn’t going to happen in time. So we called a plumber ourselves, and $332 later he announced forlornly that he could not fix it—the blockage was terminal and the pipe would need to be dug up and replaced.